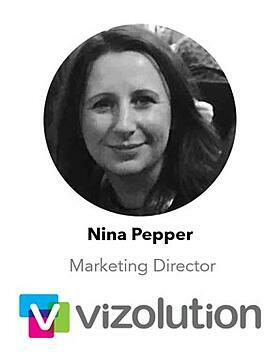 Startup marketing expert Nina Pepper reflects on her journey as she takes Vizolution’s innovative tech solution global. Vizolution is on a mission to help large enterprises ‘serve beautiful’ by quickly joining the dots in their broken and ugly customer journeys. With funding secured from specialist tech startup VC Notion, they are putting the finishing touches to an integrated marketing strategy that will help take their exciting message global – with the goal of both promoting brand engagement and driving lead generation. What better time to take a step back and reflect on the journey so far. Q. 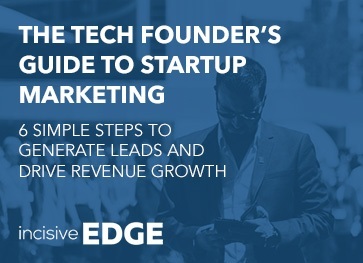 What are your top 5 lessons for marketing a funded tech startup? #1. Building the right foundations would be the number one. As the company goes into the expansion phase, having good foundations in place is key because you are then able to expand on them as you move forward. For example; having a good marketing strategy and campaign playbook allows you to take the learnings from the domestic market and confidently expand out into new regions. #2. Getting the right tools in place and having the right technology. Having the right tools and the right technology in place is invaluable when you get to the expansion stage. #3. Establishing a good reporting framework. You need to really understand what’s important, what the most relevant KPIs are and where marketing can add value to the business. The role of reporting is simply to demonstrate that – especially in earlier stage businesses where delivering value and being able to demonstrate it is crucial. #4. Creating the right team has to be one of the key areas. In an early stage business, there is an element of everyone having to do a bit of everything – so it’s more of an all-hands-on-deck approach. But at the same time, you need to have a view of how the team can evolve and what new skills will be needed. So, there’s an initial “let’s just get things done’” stage followed by a more future-focused “how do we create the structure that’s going to be able to grow with the company and evolve” stage. You need to make sure that you have the required skills in place – or are at least able to train the people in your team as the business progresses. #5. Developing a good demand generation programme. Obviously, demand generation is the lifeblood of marketing and it’s the thing that demonstrates value the most. When people ask; “what do you want from your marketing team”, lead generation is usually the number one request. Being able to establish a measurable demand generation programme – one that can be tracked through the sales funnel which doesn't just stop at the MQL (i.e. marketing qualified lead) stage – is critical. Q. How do you prioritise your work? A. We prioritise activities that are commercially focused and revenue generating. In an early stage tech startup, prioritising your work is vital. There are far too many things that need to get done, so you must focus on the big wins – the things that are going to have the biggest impact on the business. So, it comes back to how you can influence the pipeline for sales and how you can enable sales – this is really critical in the early stages of the business. Once you have that up and running and feeding into the pipeline, you can start to look at all the ways marketing can contribute and add value. So, priority-wise, it’s anything that is commercially focused and revenue generating – wherever you can have the biggest impact. Q. What’s been your greatest challenge? A. For us, the biggest challenge has been resource. There’s so much that can and could get done but there’s just not enough resource to do it all. 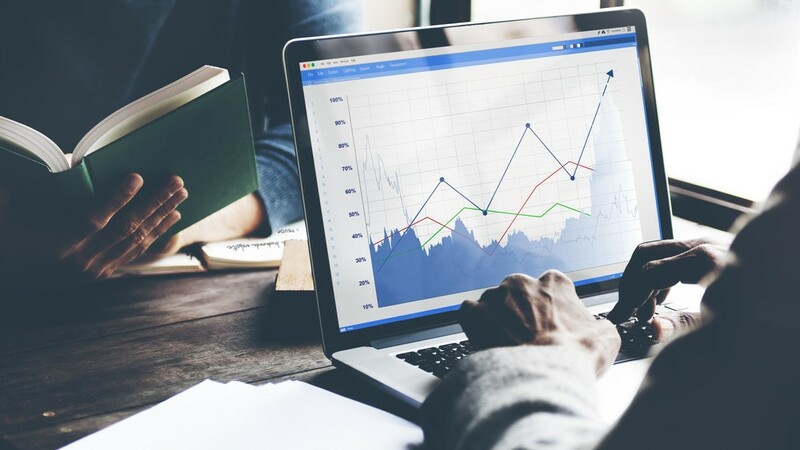 Essentially, it comes back to the previous point; how can you best use the budget for maximum impact – and that has definitely has been our biggest challenge. Q. What’s been your greatest learning? A. Using technology to facilitate the team's success. My greatest learning would be using technology to facilitate the success of the team. There are so many new technologies available today, it’s easy to get into a situation where you are chasing shiny objects and the next big thing. But choosing the right technology – defining the problem then choosing the technology to solve the problem – is key. 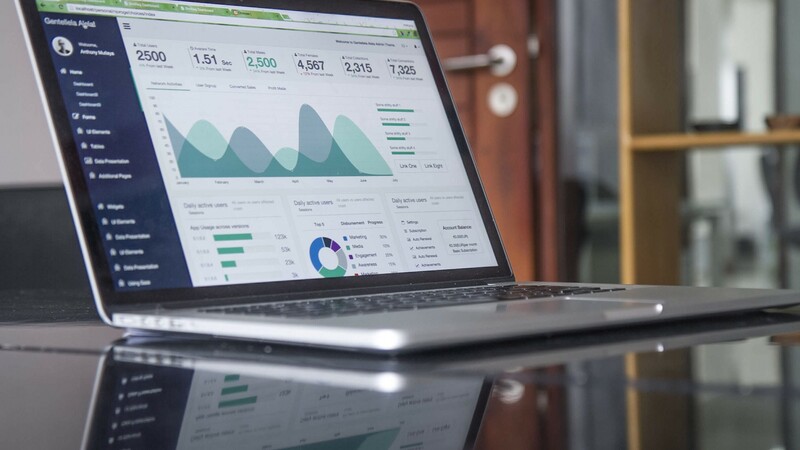 There are some great technologies out there that can help you overcome the lack of resources, help define where you should be focusing and really help to reach your marketing objectives. Q. What’s the best piece of advice you have been given? A. Ensure that you have very good sales and marketing alignment. We’re an enterprise-focused business so the best advice I’ve been given is to ensure that you have very good sales and marketing alignment. We work to a named account list and always get insights back from the sales team regarding opportunities and challenges which help us to establish and evolve our buyer personas and customer journeys. So, having excellent sales and marketing alignment is the best piece of advice I have been given – and it would definitely be the one piece of advice I would pass on. Q. Out of all the strategic actions you have taken, which do you feel has been the most beneficial? A. 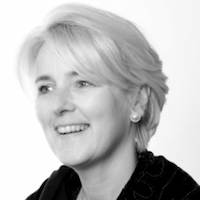 Establishing our ideal client profile has had the biggest impact. The most beneficial strategic action we took was going back to basics and really looking at what our ideal client profile (ICP) was. Looking at that before we rolled out anything else has had a huge impact and allowed us to focus on the things that were going to have the biggest impact for the business. It’s meant that we have really aligned the sales and marketing team to the same target list – a very defined target list – and we can really focus the marketing in the right place. That upfront strategic planning and the creation of a highly targeted ICP has driven forward every decision we have made since. It’s one of the things that we have done really well here at Vizolution. 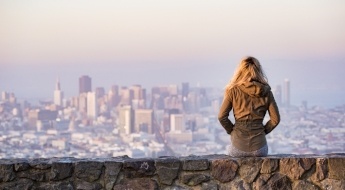 We really live it and breathe it – from both a sales and marketing perspective. From the conversations the sales team has, through to the way we qualify an MQL – everything is aligned with the ICP. And if it doesn’t tick the box, it doesn’t happen – which is great. There has been huge buy-in for this approach and it now runs throughout the whole sales and marketing culture. Q. What role do you feel reporting and performance optimisation plays in marketing? A. 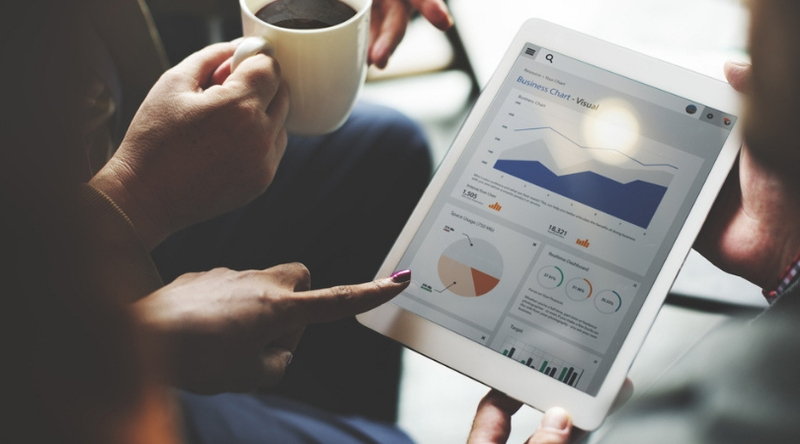 Reporting and performance optimisation plays a huge role in marketing. It’s demonstrating value again. For an early stage company, it’s essential that you can demonstrate the value and marketing – more than any other discipline – must try really hard to demonstrate value. There can be a perception that marketing is only there to create PowerPoint presentations and support sales, so this is a myth we actively need to dispel. You have to be able to demonstrate value and not just to the point of the MQL, but demonstrate value very commercially throughout the whole pipeline. I think that’s where sales and marketing alignment really comes into play; you have to understand the intricacies of the sales process and you have to understand how the teams works the pipeline. For example; if marketing produced a number of qualified leads (MQLs) last month, you need to understand where those leads are in the sales pipeline, what impact they had on sales performance and how near those leads are to closing. Especially where you have long sales cycles, it becomes critically important to understand that process as it can be a long time before you start to generate revenue and see the value. In cases like that you have to put early indicators in place to track the delivery of value before opportunities hit contract stage. Q. What’s the importance of the website to marketing? A. The website is critically important to marketing. On a basic level, it’s our storefront. It represents our position in the market and the products that we have. But on a more strategic level, it’s how we can nurture our prospects and help push them through their customer journey and our sales funnel. It performs a huge number of tasks. We’re actually going through that process at the moment and for me it’s about trying to find the balance between brand positioning and the practicalities of a big user journey – and, as I said, pushing people through the sales funnel. Q. What do you look for in an agency? A. The number one thing I look for is an agency that is strategic and data-driven. Everything needs to be based on data and there needs to be a strategic reason for doing everything. An agency that has a thorough and proven methodology behind what they do is critical for us. Having an innovative and creative approach is important too, but a lot of agencies have that second string – they’re ideas-driven and campaign-level driven – without having the strategic support and rationale to back it all up. For me, having both of those things is absolutely crucial. 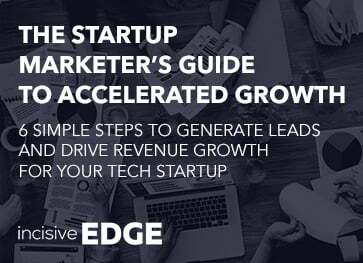 Got a question or just want to chat about your startup marketing challenges? Please feel free to get in touch or book a free consultation with one of our tech marketing experts.